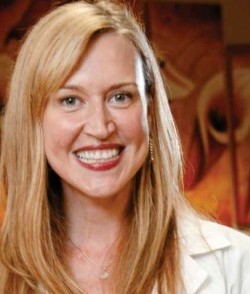 Home HEALTH DOCTOR PROFILES Jennifer Mills-Messina, M.D. Jennifer Mills-Messina is emphatic about her love for obstetrics and gynecology: “I love every part of it,” she said. Having practiced in Lakeview for four years, Dr. Mills-Messina is a relative newcomer to New Orleans, but she is enjoying the city and is steadily building a base of loyal patients. OB/GYN is so much fun. You get to be there for your patients during pregnancy and childbirth, which is such an exciting time in their lives. At the same time, you also get to do surgeries and see patients in the clinic. It was this variety that appealed to me. By and large, OB/GYN is a happy specialty and most of my patients are in good health. However, when something is bad in my field, it’s really bad. It’s very difficult when my patients miscarry, for example. I am originally from outside Hattiesburg, Mississippi, but I have always loved New Orleans. I went to Southern Miss, so during college I would come to New Orleans whenever I could. After I graduated from medical school, I found a job in Birmingham, but I missed New Orleans. Finally, I made up my mind to move here, and, in fact, I met the man who is now my husband after only being in New Orleans for five days. I begin my day by going to Touro for rounds, and then I see new and returning patients in the clinic. Some days I have surgeries scheduled, and of course, babies can come at any time. I see patients of all ages, but since I’m relatively new to the area, the majority of my patients are young. I think that, especially in OB/GYN, patients tend to age with their doctors, to see the same gynecologist for a long period of time. So now I’m establishing relationships with younger patients, and am very much looking forward to helping them throughout their lives. What medical advance or technology has most changed the way you practice? The daVinci robot, which we use for gynecological surgeries like hysterectomy, ovarian cystectomy, endometriosis surgery and uterine myomectomy (the removal of uterine fibroids). I was lucky enough to be one of the first to train on the daVinci when Touro first acquired the robot. Now the majority of OB/GYN physicians at Touro are trained to use it. I like to say that comparing robotic surgery to traditional surgery is like trading in a Volkswagen for a Cadillac. With robotic surgery, patients recover faster and have less post-operative pain. I truly enjoy the close relationships that I’ve built with so many of my patients. It’s what makes the job fun and rewarding. I love knowing that I’m helping them, whether it’s relieving a gynecological problem or shepherding them through pregnancy and childbirth, one of the happiest times of their lives. 145 Robert E. Lee Blvd.